One of my favorite things about my work is collaborating with other creative entrepreneurs who are doing amazing things in this world. My client, Zoe, is no exception. 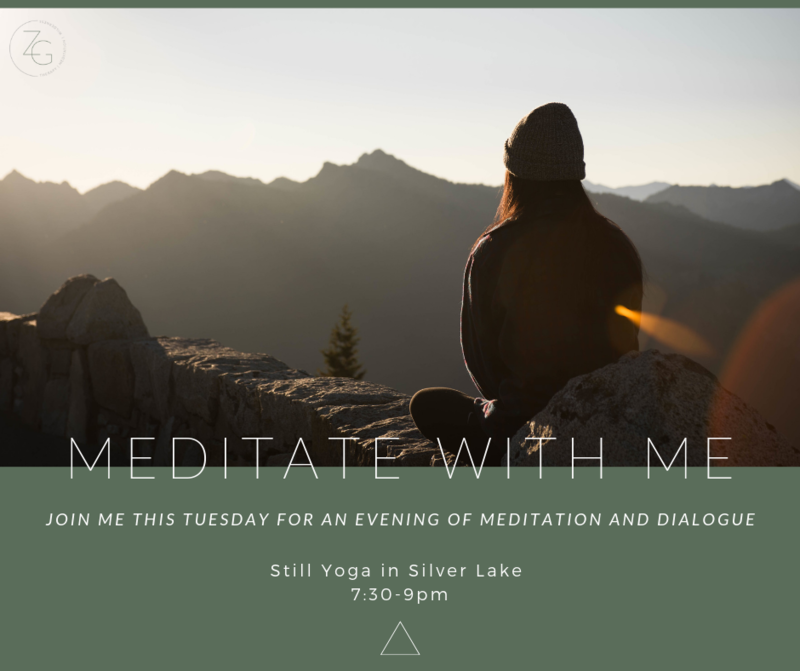 Zoe is a therapist and wilderness retreat guide, and when she came to me for a website overhaul, she had two different websites for each of these services. Many of her individual clients join her groups, and then go on one of the wilderness retreats. Since these three things compliment each other nicely, she wanted one website that combined all the areas of her business. She felt that her therapist website didn’t clearly lay out what she did, she wanted the layout to be more intentional and clarify where she was directing people. She felt her messaging was off, and wanted to make it clearer to website visitors what exactly she offered (very important). She also wanted her website to be more diverse and inclusive looking with photos, as well as having a feel of movement, nature, adventure, community, self reflection since her audience was mainly seekers and adventurous souls and people who are interested in exploring their inner and outer world. On Zoe’s questionnaire, she said she wanted her branding to give off these emotions: inspiration, curiosity, love, joy, and connection. She wanted a soft but active tone and neutral, earthy and natural tones. So first, we started with the mood board before expanding into the color palette. These were the original options. We decided to combine the greys with the green and pink, but later changed it to brown to encompass the wilderness, earthy and natural feel of her brand. Then we jumped into the logo design. These are first shown in black and white so the focus is on the actual design, not the colors. Here are the initial ideas I put together for her. You can scroll through to see the different options that were presented. We narrowed it down to the last logo with the Lato font. We played around with sizing, spacing and thickness of the font before finalizing the design. Then the next step was to add color. Below you’ll see the main logo options as well as the alternative logo options, also shown in color. You’ll notice pink in the first one because we hadn’t redone the color palette by this point. 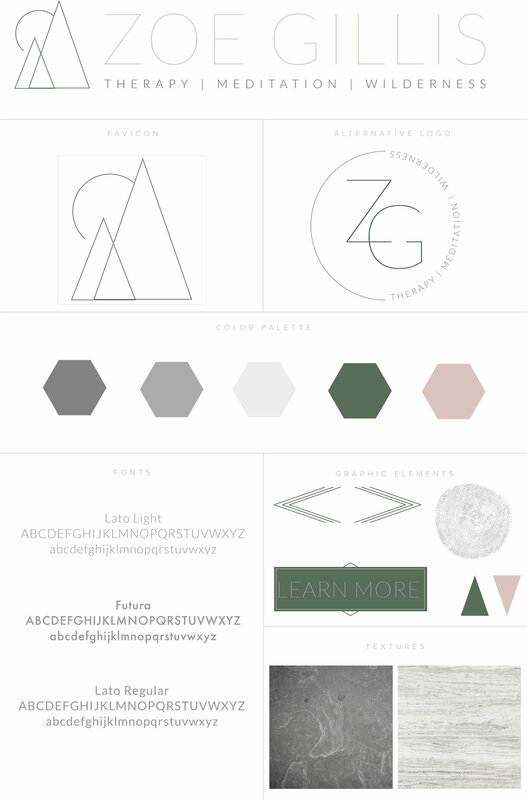 Zoe decided to go with 1.1 for the main logo - the green font and grey graphic - and 2.5 for the alternative logo. I added Futura for secondary headings and a thicker Lato font to be used for paragraphs. To combine the wilderness with a minimal feel that Zoe wanted, I added in the graphic elements and textures that fit the mountainous and wooden feel. For her social media profiles, Zoe chose Facebook, Instagram and Pinterest. I also put together a few promo images for her as a bonus for signing on. I started with the homepage before moving on to the rest of the website. We found photos of people that showcased the diversity and inclusion feel she wanted, so those were used as smaller images and as larger banner images spanning the full width of the site. Keeping in mind Zoe’s mission “to promote insight, compassion, and resilience through introspection, dialogue, and adventure,” I added additional elements, various spacing and layout options to create those emotional responses through the screen. Below are before and after screenshots of these pages: homepage, therapy and wilderness retreats. I also built out an about page, contact and events page. Some of the pages above were shortened for this post, so you can click below to see the full pages. Zoe had four revisions for the full website, where we made a few rounds of minimal changes. I also checked that the site was responsive on mobile and tablet views as well as optimized for SEO. At the end of the project, we hopped on a Zoom call, where we moved the domain from the old website to the new one, transferred site ownership, set up Google Analytics, and connected the social media profiles! Since Zoe was already familiar with Squarespace, I didn’t have to go too far in-depth of the backend, but I still provided a walkthrough of how to change unique elements of her site. I handed over all of the design files, Canva links, and gave her access to my client library of video tutorials. She was really excited about the launch and I’m so grateful to have worked with her on this project. 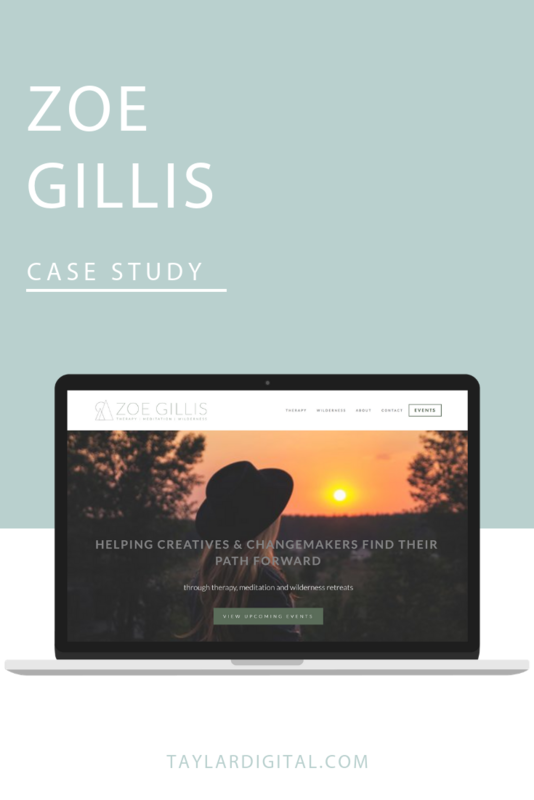 Are you looking for a website redesign like Zoe?